NEW CASTLE, Del. (WPVI) -- A Delaware animal shelter has reopened its doors following a fatal, fiery crash that destroyed the veterinary clinic and damaged the adoption areas. News outlets report that all services at the Brandywine Valley SPCA in New Castle reopened Wednesday. Brandywine Valley SPCA CEO Adam Lamb, says staff and vendors pushed to reopen as quickly as possible because the animals need the shelter as a haven. The BVSPCA says it gutted what was left of the clinic and will reconstruct it over the next few months. In the meantime, other parts of the facility have been temporarily equipped for spay/neuter surgeries and wellness visits. 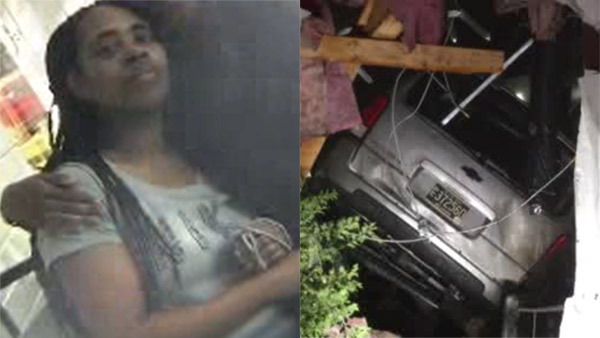 On July 9, Latoya Cooper crashed her car into the shelter. Cooper and four cats were killed while over 100 animals were displaced. A driver and several animals were killed after a fiery crash at the Brandywine Valley SPCA in New Castle County. Deadly crash, fire at Del. SPCA. Bob Brooks reports during Action News at 7 a.m. on July 9, 2017. After the crash, Juanetta Cooper, Latoya's mother, told Action News, "Latoya was a people person. She loved her kids to death. Loved life." Latoya was the mother of five young children. "I'm gonna need some help burying my daughter. If anyone can help me. I really appreciate it. She got 5 kids. I'm going to need some help," she said.